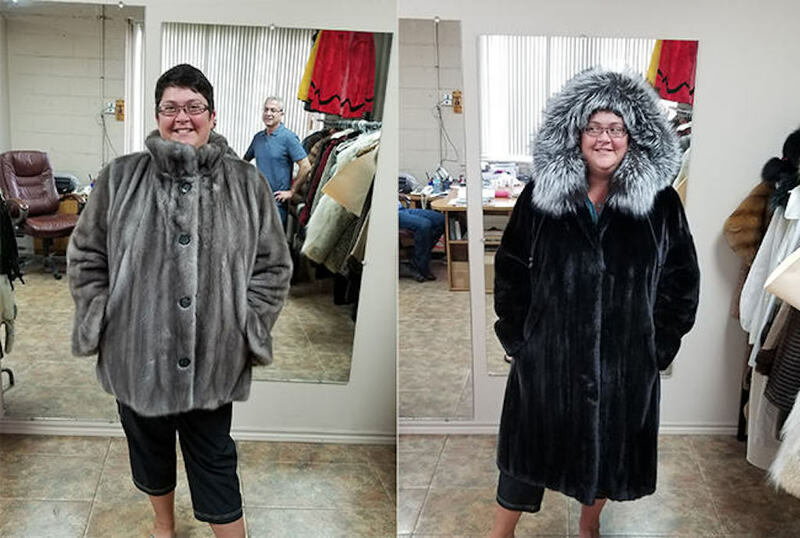 Christy A. Allen Mullen, from Weymouth, Nova Scotia, proudly sports her remodeled vintage blue iris mink jacket and a Blackglama coat made from pelts from her own farm. “I would never have imagined that I would marry into a mink ranching family (in fact my sister and I married brothers! ),” says Christy. “Nor did I know, leading up to my marriage, that I would find out that my great-grandfather Kenny was a mink rancher in the 40’s. This photo is featured in our blog post Fur coat stories: "I wear mine everywhere! ", March 22, 2018.